Dogs Bite Decatur Al: HOMOSASSA, CITRUS COUNTY FL - JESSICA CALHOUN, 20, WAS ATTACKED BY HER PIT BULL AS SHE WAS TALKING ON THE PHONE - AIRLIFTED TO HOSPITAL WITH BITE WOUNDS OVER HER BODY ESPECIALLY HER LEGS! HOMOSASSA, CITRUS COUNTY FL - JESSICA CALHOUN, 20, WAS ATTACKED BY HER PIT BULL AS SHE WAS TALKING ON THE PHONE - AIRLIFTED TO HOSPITAL WITH BITE WOUNDS OVER HER BODY ESPECIALLY HER LEGS! ONE MORE PIT ATTACKED OWNER AND TAX PAYERS TAKE CARE OF THE BILL !!!!! UPDATE: 2/24/2018, 1:05 P.M. – There are unconfirmed reports from several sources that say that doctors were unable to save the young victim’s leg. 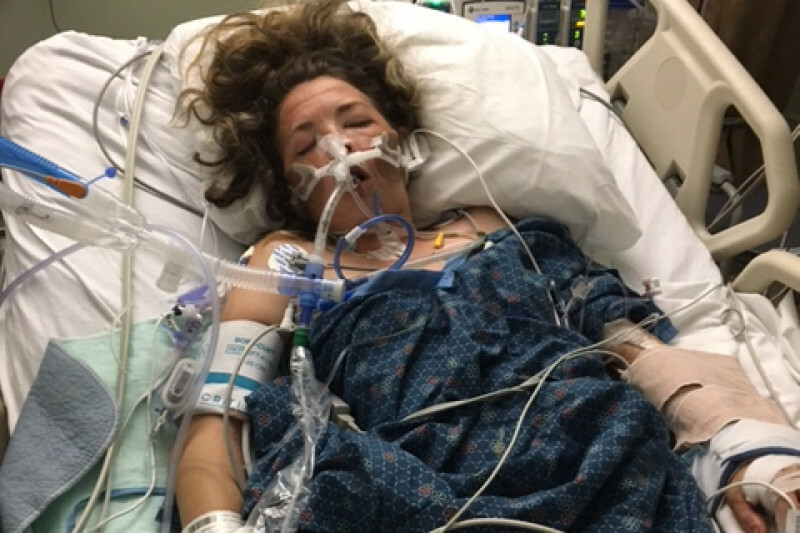 She continues to recover in a local trauma center but her exact condition is unknown. A Homosassa woman is recovering from severe dog bites after her own dog attacked her without warning or provocation. Yep! That's how pit bulls roll! I am happy whenever a nutter learns their lesson the hard way! It is not okay with me that most pit bull victims are random people going about their lives. I much prefer the nutters get what pit bulls were "bread" for. Random, unprovoked, sustained, and painful, attacks. The pit bull was having a good day though. I love how they automatically think the pit bull must have been rabid to act that way. No, it's just a natural inclination for pit bulls. Wouldn't the nutter know if the pit bull was up-to-date on its rabies shots? Am I getting a sense that this nutter was not a responsible owner with a licensed and vaccinated pit bull? Don't most pit bull advocates talk about bad owners, and that is the dividing line between a docile pit bull and a lethal one? Isn't it kind of ridiculous that we allow such hypocrisy when it comes to human safety? Punish the deed, not the breed. It's bad owners. It's all in how you raise them. Just a bunch of excuses for pit bulls that kill. There is not one reason or excuse that is good enough for people to die at the jaws of pit bulls. Oh, Bethany Stephens pit bulls were neglected, therefore the pit bulls are excused. Someone rang Jacqueline Bedsaul's doorbell, therefore the pit bull is excused. Pit bulls, the only defective dog breed out there that has nutter advocates changing laws, instead of changing their ways, and their breed. Some day, we will prevail! Common sense will win over psychotic delusions that pit bulls are nanny dogs. It's too bad she has to learn the hard way, but can't say we didn't warn her. People have been shouting from the rooftops that IT'S NOT JUST HOW YOU RAISE THEM. Instead, these people choose to carry on as if genetics don't exist. This is the result.